Industrial / fine arts / personal effects / cars and motorcycles. 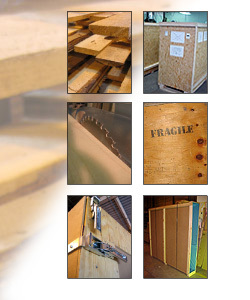 Part of the Universal Express Group, we have nearly 15 years experience in industrial crating. Anything from individual paintings for art galleries, to industrial lumber shipping pallets for steam turbines. Nothing is too small or too big, and our crates and custom pallets have been exported around the world. Tell us what you need and we'll create a secure crate for you. We are fast, and can build the crates in our workshop or on-site. Copyright © 2005 Copyright C 2005 UNIVERSAL EXPRESS RELOCATIONS Sp. z o.o.